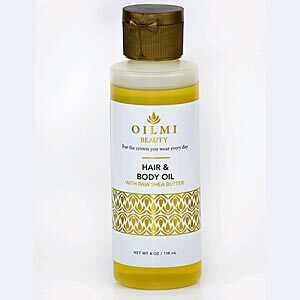 Oilmi Professional Moisturizing Hair & Body Oil with avocado oil and jojoba oil is a natural product that absorbs well into the scalp and skin. 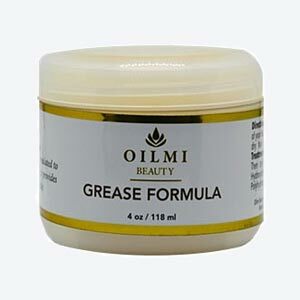 Avocado Oil absorbs into the hair easily which prevents dryness and breakage. The same nutrients in avocado oil which make it ideal for moisturizing and feeding skin are also exceptionally nourishing for your hair. The Jojoba oil can seal in the moisture and create an effective barrier to external elements. The mild scented oil blend will moisturize you skin, hair, and scalp.